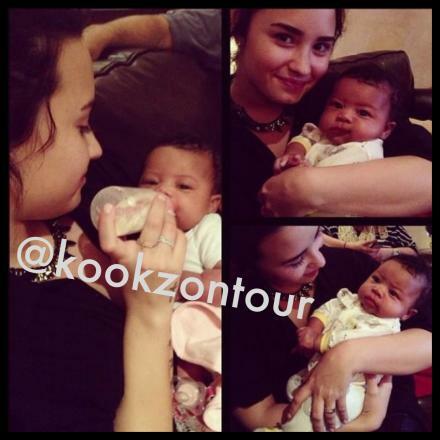 Demi Lovato Holding Baby. . Wallpaper and background images in the 데미 로바토 club tagged: demi lovato. This 데미 로바토 photo might contain neonate, newborn, newborn infant, newborn baby, 피부, 스킨 톤, 누드 컬러, 부분 벌거 벗음, 묵시적 누드, 부분적인 벌거 벗음, 묵시적인 누드, 묵시적인된 누드, 부분적인 벌거숭이, skintone, 초상화, 얼굴, 근접 촬영, 얼굴 만, 세로, and 헤드샷.